Green Route 1 (pdf document 1.15mb) is the new off-road cycling and walking route north out of Leicester along the Soar Valley. The route links the city centre with Belgrave, Birstall, Thurmaston, Syston and Cossington. The distinctively signposted path is ideal for local journeys and also links a series of attractions. These include, Abbey Park, the National Space Centre, Belgrave Museum and Watermead Country Park. 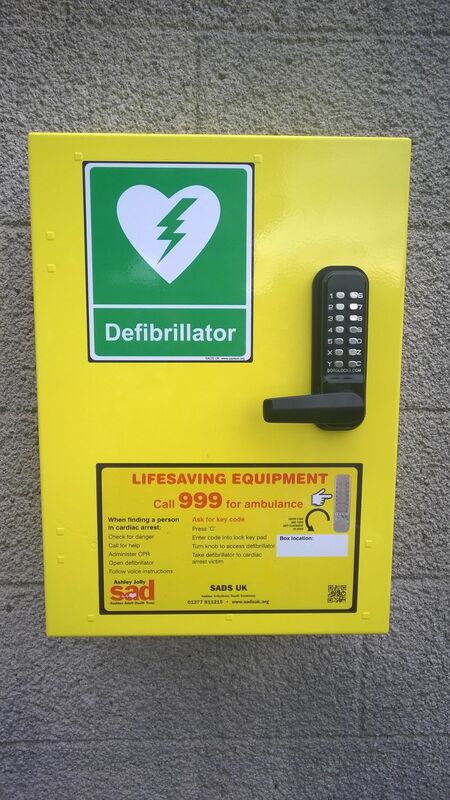 A defibrillator was installed on site in 2015 in memory of Mrs Jean Grant (Michelle Harris' mother) - it is available for use by anyone who needs it. If someone is showing signs of cardiac arrest, phone 999 and give your location - they will inform of the nearest sited defibrillator.